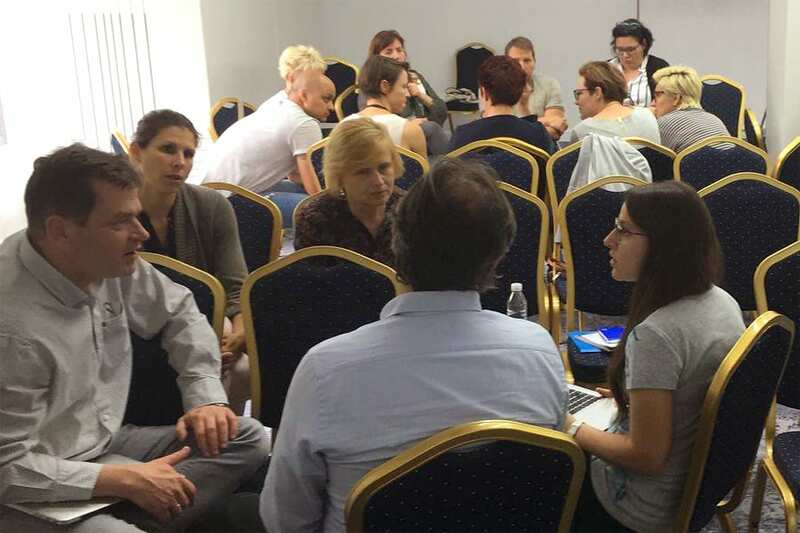 25 May 2018 // At the IF European Workshop on 19-20 May in Sofia, Bulgaria, our participating members identified the lack of information, awareness and training on Clean Intermittent Catheterisation (CIC) as the most pressing problem to be addressed at national level. Availability of facilities for safe and hygienic CIC of children at schools, accompanied by support of a trained professional (such as a school nurse) is particularly problematic. In addition, training is needed for parents so they can teach their child self catheterisation, starting from a young age. At the workshop, IF members also received information about the forthcoming IF study on multidisciplinary care for persons with Spina Bifida and Hydrocephalus (SBH), with which we hope to address the gaps in knowledge about good practices with regard to SBH care in Europe. Furthermore, European members were informed about the upcoming elections to the European Parliament, which will be held on 23–26 May 2019, and they followed a presentation on how to engage with their national Members of the European Parliament (MEPs). We also introduced our plans for this year’s World Spina Bifida and Hydrocephalus Day (WSBHD), with the theme “Spina Bifida and Hydrocephalus throughout the lifespan”, subtheme: “Tell us your story”. We aim to collect and share 25 testimonies from people with SBH of all ages, and their families, from all over the world by October 25th 2018. More details will be published on the WSBHD website. Members also presented their activities, particularly their most significant achievements of the past and the most serious concerns that are currently the focus of the association. The second European members’ workshop of 2018 will take place on 16-18 November in Madrid, Spain. The overall topic of the workshop will be dedicated to adulthood and ageing with SBH.